The editors at Black Lawrence Press are very pleased to announce that Charlotte Pence has won the Black River Chapbook Competition for her manuscript Branches. Charlotte will receive $500 in prize money and a publication contract from BLP. Charlotte Pence is a Ph.D. candidate in creative writing at the University of Tennessee and former editor of Grist: The Journal for Writers. 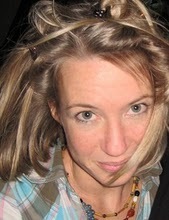 She most recently received the 2009 Discovered Voices award from Iron Horse Literary Journal given to one graduate student in the country for poetry each year. Her work has appeared or is forthcoming in Kenyon Review Online, Prairie Schooner, North American Review, Denver Quarterly, RATTLE, Tar River, and many other journals. She also has an anthology forthcoming with University Press of Mississippi titled Lyrical Traditions: The Intersections Between Poems and Songs. Many thanks to everyone who participated in the Black River Chapbook Competition and congratulations to all of the poets and writers who made it to the finalist rounds.